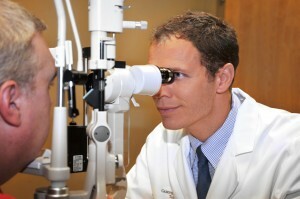 Matthew M. Cole, M.D., is passionate about his career as a Retina Specialist. And he is excited about the emerging technologies in the treatment of diseases of the retina. He admits it was the rapidly developing advancements in the field that drew him to a career in Ophthalmology. 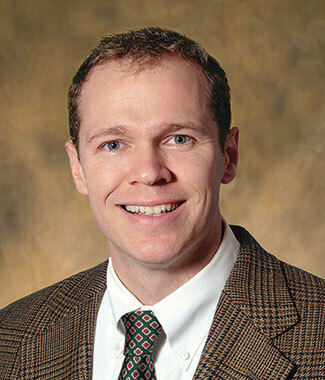 Dr. Cole grew up as the son of a Pulmonologist who was very popular with his patients. The younger Dr. Cole hoped to make a similar connection with his own patients. This, he recognized early on, is crucial to the quality of care he can provide and, potentially, the outcomes achieved. A native of Johnson City, Tennessee, Dr. Cole received his Bachelor’s degree from the University of the South. He received his M.D. from East Tennessee State University. 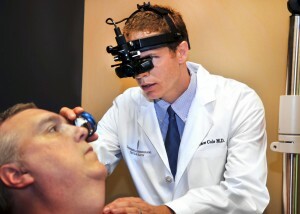 He then completed his Internship, Residency and Medical Retina Fellowship at the University of Kentucky in Lexington. While working and studying in Lexington, Dr. Cole met his wife, Christa. She also works in the field of eye care as a Doctor of Optometry. They were married in 2011. As an East Tennessee native, Cole developed a love for the mountains and enjoys hiking, fishing and camping during his free time. 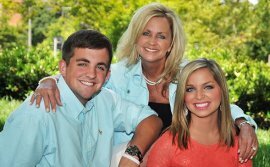 Dr. Cole sees patients at our offices in Knoxville, Farragut, Maryville and Sevierville. To schedule an appointment, call (865) 584-0905. The University of the South, B.S.